Discoveries and advancements in medical technology are continually being made, and healthcare is ever evolving and improving. Hot-swappable batteries are a prime example of this beneficial evolution. Choosing the right technology for a healthcare facility is crucial. Technology that can do more with less is the goal. A hot-swappable battery achieves this objective by being a product that helps minimize downtime and increase efficiencies related to patient care. This reliability that hot-swappable batteries provide saves costs and increases the safety of the healthcare facility. These benefits for the medical staff, the healthcare facility’s budget, the patients, and the IT staff are incredibly valuable. Hot-swap technology has forever changed the healthcare world. Hot-swap technology allows batteries to be swapped without interrupting the devices’ performance. Data does not need to be saved nor an orderly shutdown completed before the battery can be exchanged. You can insert hot-swap batteries without losing power. During operation, hot-swap batteries can simply be removed and charged while a new battery is connected to continue operation seamlessly. This provides superior service at the point of care and ease for healthcare facilitators. The appropriate technology is essential to achieve maximum proficiency for healthcare providers. Turning off a piece of equipment that is currently in use to change its power supply consumes valuable time. Hot-swap technology can prevent these delays, as well as supply quicker charging times. Hot-swap technology means frequent equipment maintenance is less time-demanding. Healthcare providers can spend less time charging equipment and instead, low batteries can simply be swapped for charged ones. Multiple sets of batteries can also allow flexibility for scheduling preferred charging times of the batteries. Healthcare providers no longer need to monitor battery statuses continuously. Hot-swappable batteries allow medical professionals to retain their focus as the hot-swap batteries take care of the equipment’s operability. With hot-swap, batteries, low battery, or unexpected power outages no longer cause interruptions in services or loss of critical data. Batteries can just be swapped, and workflow can continue as efficiently as before. Hot-swap technology means equipment no longer needs to be plugged in or continuously moved around to charging stations. Being completely independent of power outlets and ethernet cabling increases mobility and usability. The hot-swap technology allows equipment to be more lightweight which in turn increases its usability. This beneficial lightweight attribute, along with its wire-free design, makes the cart easy to maneuver. The hot-swap batteries are also designed, so they are extremely easy to swap when the need arises. They can also power any required peripherals, such as printers, barcode scanners, keypads, etc. Conventional battery arrangements raise many safety concerns when used in a setting where critical safety concerns exist in the event of lost power – such as in a healthcare facility. Service outages during critical working hours bring serious risks. Data and files could get deleted or become corrupted which would be a highly problematic and serious situation. The FDA have severe warnings about the overheating of batteries and battery packs. If overheating were to occur, it would bring with it catastrophic results. Overheating occurs when you use defective or low-quality batteries. Choosing modern, quality battery packs lowers the risk to the patients of a healthcare failure that is preventable. Hot-swappable batteries are more affordable. They are small, light batteries that are quick to charge which saves on energy costs for the healthcare facility. The hot-swap batteries have high hours of operation, which saves time and energy. Another time-saving benefit is the dependability of the hot-swap battery. By always being able to rely on accessing a new hot-swap battery at full power to easily swap to, any downtime costs of the healthcare facility are cut out. This reliability also ensures accurate patient care with all the data guaranteed available always which keeps the workflow of healthcare practitioners speedy and uninterrupted. Facilities that use hot-swappable batteries significantly increase the reliability of over-all patient care. 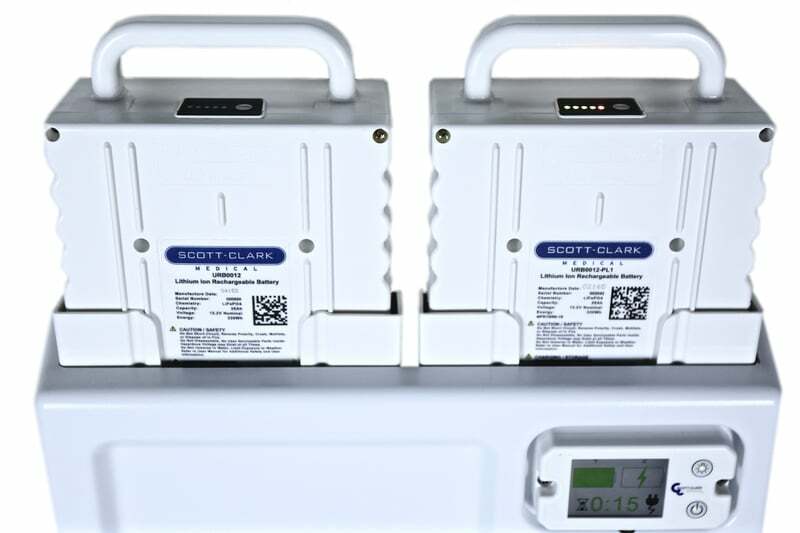 By using hot-swappable batteries, healthcare facilities minimize or even eliminate downtime. The risks associated with unexpected power loss or safety concerns associated with using low-quality batteries becomes negligible. In addition to being cost-effective, using this type of battery will add to the overall quality of care provided to a patient. Consider investing in hot-swappable batteries.